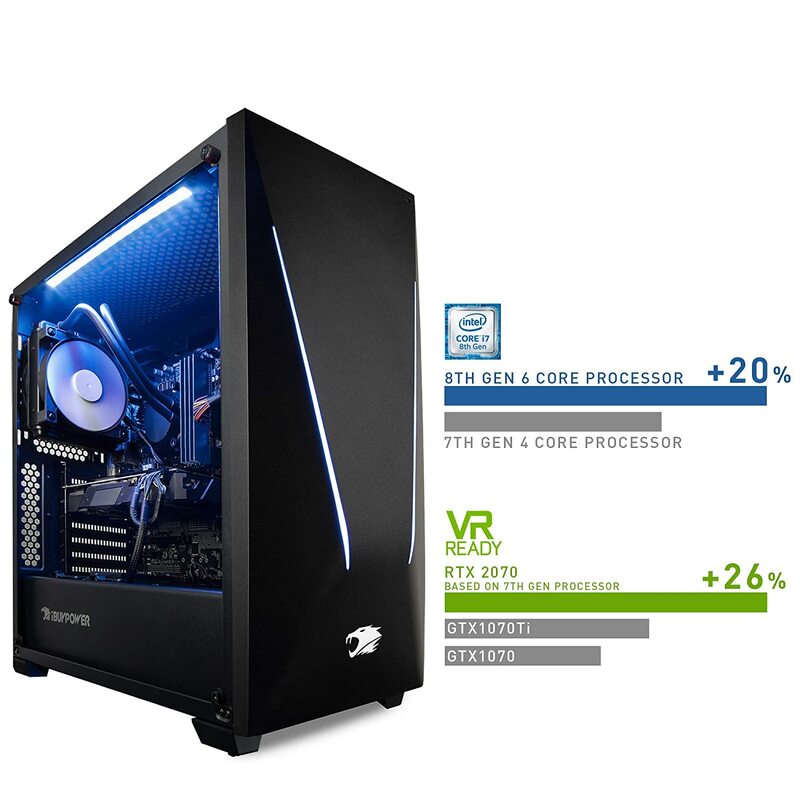 The Trace 9230 features an 8-Core Intel-9700K (3.6 Ghz with 4.9 Ghz Max Turbo, Intel Z370 Express Chipset, 16GB DDR4 2666 MHz RAM, 1TB 7200RPM HDD and a 240GB SSD. Paired with a powerful NVIDIA GeForce RTX 2070 8GB Dedicated Gaming Video Card, this system is a powerhouse beast ready to take on the latest and future games with ease. You’ll save $200 and at $1449, it’s a great deal for those looking for unrivaled bang for the buck. Following in bigger bro’s footsteps, is the Trace 9220 which features an Intel Core i7-8700K 6-Core Processor (3.7 GHz with 4.7 GHz Max Turbo), Intel Z370 Chipset, 16GB 2666MHz DDR4 RAM, 1TB HDD, 240GB SSD and the VR ready NVIDIA GeForce RTX 2070. Originally priced at $1499 and currently on sale for $1399, this is another deal that you must get or you’ll forever regret. iBUYPOWER’s Slate2 080i is a sleeper candidate for the crown of best “Price/Performance Ratio” king. Powered by Intel’s i5-9400F 8-core processor (2.90 Ghz and 4.10 Ghz Max Turbo), 8GB DDR4-2666 RAM, and 1TB Intel NVMe SSD. Coupled with NVIDIA’s GeForce GTX 1060GB, this system is more than capable of taking on the latest games and powerful multitasking capabilities. 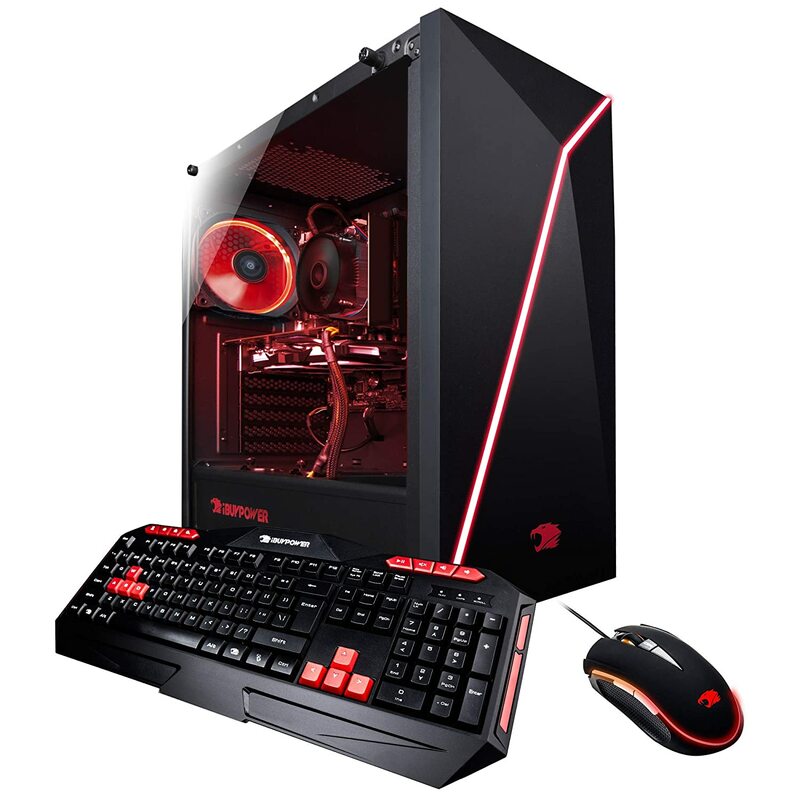 For the budget conscious gamer, we recommend the iBUYPOWER Enthusiast Gaming PC Computer Desktop AM010A which includes AMD FX-6300 6-Core 3.5 GHz (4.1 GHz Turbo), 8GB DDR3 RAM, 1TB HDD and NVIDIA GeForce GT 710 1GB Dedicated Graphics Card. For the price of $599, it offers a great blend of performance, style and affordability. 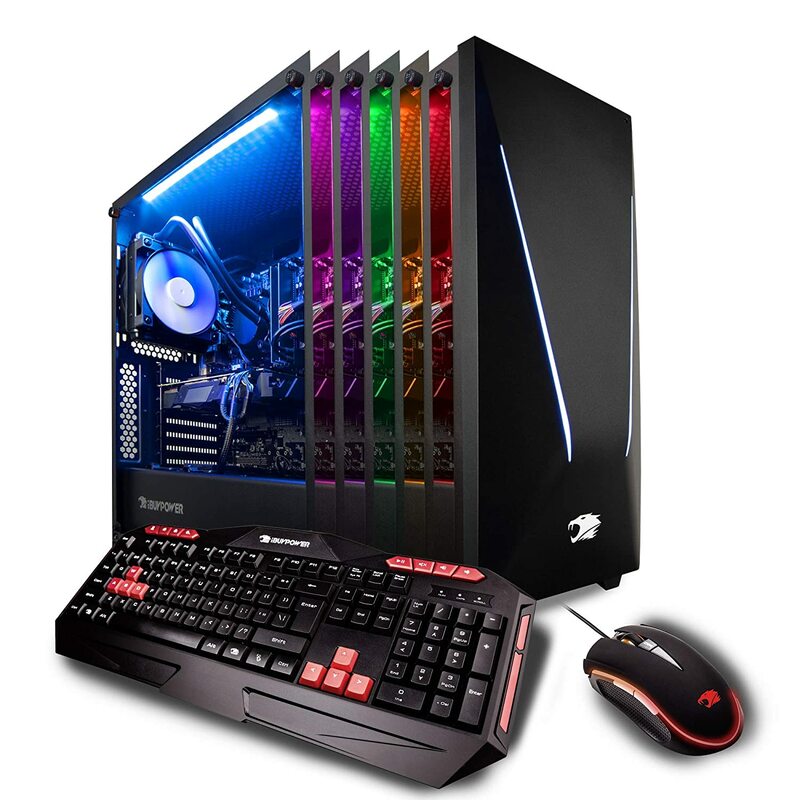 We also offer so much more on iBUYPOWER’s Amazon store for all gamers and every budget.